You’ve read about Humphry Slocombe’s ice cream book here before. Foodforfun has also detailed the purchase of my new ice cream maker as well as the adventures that followed. 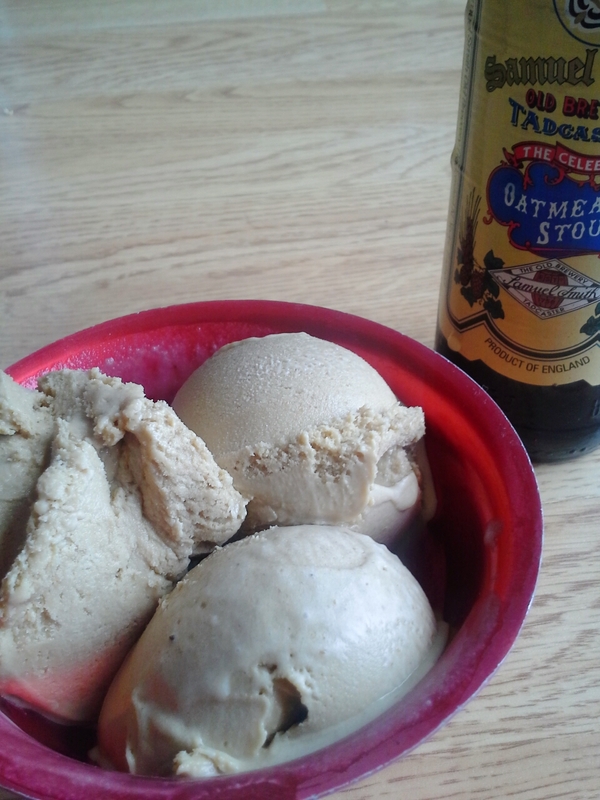 Today I’ll further those adventures and offer up a tale of combining two rock-star consumables: beer and ice cream. Always up for pushing the culinary envelope, I wondered what would happen if beer was an ice cream ingredient, rather than just a pour-over. HS came through for me with multiple beer-flavored ice creams in its above-mentioned cookbook. Butter Beer intrigued me most (though Guinness Gingerbread might be next on my list), so I gave it a whirl. Introducing it as “a simple flavor that combines two of our most popular flavors, Brown Butter and Stout,” HS offers this as one of many wildly amazing flavors sold in its San Francisco shop. And because I was obsessed smart enough to buy the book, I can enjoy it in my Minnesota kitchen as well. The Butter Beer verdict? Still swooning as I write. Flavors of oatmeal stout, cream, and browned butter played off each other well, melding to make a rich and creamy and not-too-sweet batch of ice cream. While “yeasty” seems more of a thumbs-down sort of descriptor for ice cream, it was a plus in this case, as the slightly sour and yeasty notes balanced the deep earthy sweetness offered up by the molasses and brown sugar. (In the Did You Know category: brown sugar is simply white sugar with molasses mixed in. Make your own by stirring together 2 tablespoons molasses for every cup of white sugar. After picking this tip up over two years ago, I’ve yet to buy packaged brown sugar.) But back to Butter Beer ice cream–amazing solo, it would also pair well with chocolate syrup or blend with malt powder for a killer malted milk. While I’m nuts about this discovery and thrilled to have answered my question of how beer-flavored ice cream would taste, I’ll note that my husband and parents–willing taste-testers, all–turned up their noses at it. Butter Beer is not a flavor for everyone. But anyone who loves a culinary adventure and loads of complex flavor will enjoy very much. Immediately add stout and brown sugar to saucepan; stir to dissolve. Cook over medium heat 15 to 20 minutes or until reduced by half and is slightly sticky to touch. Add molasses; stir until well blended. Add cream, milk, and salt; cook, stirring occasionally, until hot but not boiling. Fill large bowl or pan with ice and water. Place large, clean bowl in ice bath and fit bowl with fine-mesh strainer. Meanwhile, in medium bowl, whisk together egg yolks and granulated sugar until well blended. Remove cream mixture from heat. Slowly pour about half of hot cream mixture into yolk mixture, whisking constantly. Transfer yolk mixture back to saucepan with remaining cream mixture; return to medium heat. Cook, stirring constantly with rubber spatula scraping bottom of saucepan so it doesn’t scorch, 2 to 3 minutes or until liquid begins to steam and you can feel spatula scrape against bottom of pan. Remove custard from heat; immediately pour through strainer into clean bowl set up in ice bath. Let cool, stirring occasionally. When custard has cooled, cover bowl tightly. Refrigerate 1 hour or preferably overnight. When ready to freeze custard, transfer to ice cream maker; churn according to manufacturer’s instructions. Can be stored frozen up to 1 week. Makes 1 quart. Now there’s an Ice Cream I can go for! You live closer to Humphry Slocombe than I do 🙂 Though I’m afraid the carb/protein ratio will be off for you. Sprinkle w/granola? The ice cream looks wonderful–and I’m really tempted to go buy some molasses! I hate trying to use brown sugar because it always turns into an infuriatingly hard rock before I can even use half of it up. That looks great. Forgive my ignorance, but does the granulated sugar keep the yolks from cooking too quickly when you add the hot cream mixture? Tracy, you’ve outwitted me! Would have to look up the answer 0-: Though that sounds about right. Slowly heating the egg mixture with the cream before combining it all helps, too. Then the strainer eliminates any egg that did cook (of which I managed to have a fair amount–arrgh). Glad you like. Wish I could send you a carton as you burn the midnight oil. Almost there! When I saw the title of this post, I thought it was going to be about a beer float, a drink I have heard of but never dared try. You might have changed my mind about that. Beer ice cream! Now that is not something I’ve never heard of but would definitely give a try. We have the ice cream maker attachment for our stand mixer, which is due to be put to use again soon. Maybe this ice cream will make it into the rotation. Thanks for being so adventurous! I’m crazy in the kitchen–haha. The trick with the beer float is using the right kind of beer. Needs to be dark enough to not be nasty. An ice cream maker attachment for a stand mixer? I’m intrigued! this is totally up your alley, Kelli! Love the idea of cooking with beer, but haven’t done much outside of add a splash to a roast. Would love to know what you’ve enjoyed. Oh goodness. You had me at “ice cream” but I love the way you describe flavour combos Liz – you make everything sound amazing. Brown butter, oatmeal stout, and cream? Sign me up!! We would like the Butter Beer ice cream (we love Guinness in baked goods). And we have been to HS and loved the ice cream. San Francisco is having an ice cream “revival” and HS and BiRite are some of the best. lol–I have the BiRite book (Sweet Cream and Sugar Cones) and have blogged about it, too. If I remember correctly, that’s the ice cream batch that did my phone in. What I won’t do for a good ice cream! HS would be a great reason (among many) to live in California. My housemate introduced me to browned butter last month, and I’ve been hooked. This sounds delicious/adventurous. Thanks for stopping by, Hannah! Have popped over to landfoodlife, but waiting until I have a bit more time to look around more. This ice cream was a (delicious) adventure for sure. heehee–no picture of the custard this time. You should try this for sure–it’s just so so so good. Love that you posted on facebook–thank you!! You are a freaking genius!! MMMMMMM! Your beer ice-cream looks amazing, Liz! Beer&ice cream? oooo doesn’t need to be summer that I’d love it!! 😀 Thank you for that interesting recipe, absolutely worth of trying it myself!!! Let me know if you do, Irena. Would love to see pictures of your batch 🙂 Nope, doesn’t need to be summer to enjoy ice cream. Love that you’re here–thanks! Buttered rum with beer? Did you post that over the holidays? I don’t remember seeing… That would be amazing. 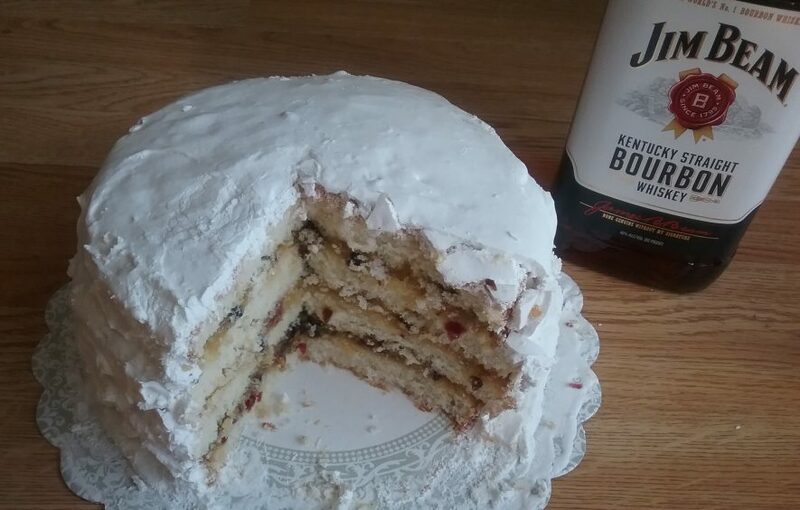 Thanks to Lilly Sue at Lilly Sue’s Bites and Brews (http://lillysuesbitesandbrews.com/) for cluing me into this post! Sounds amazing, doesn’t it?! Thanks for combing by, Crave. Good call on the stout in gelato and beer float plans. You have excellent taste 🙂 Appreciate your comment. Happy Thursday to you, too! Thanks for the visit 🙂 It has a strong molasses flavor, which is balanced by the stout. But because both flavors are fairly prominent, it’s not an ice cream for those who like milder tastes. I love it, but my husband does not. Wish I could send out samples! Sounds very unique. Thank you for sharing! What an interesting experiment. I’m surprised that the beer allowed the ice cream to freeze. The texture looks wonderful. Thanks for coming by, Eva 🙂 Yes, the fact that it froze–with all that beer–surprised me, too. It was still relatively soft after churning, but time in the freezer helped it much. Though it IS a quick melt, so you have to eat quickly! You should! I think it’s amazing, but has a lot of flavor going on so is not for the timid palate. I am so intrigued so so intrigued! I’m thinking about trying this for fathers day for hubby. Your description is fabulous. So my husband just bought the Humphry Slocombe book on our Kindle! I knew the name sounded familiar and then it clicked it was the one you have been reading. So excited for yummy ice cream goodness! Beer and Ice Cream… I’m in!!! !